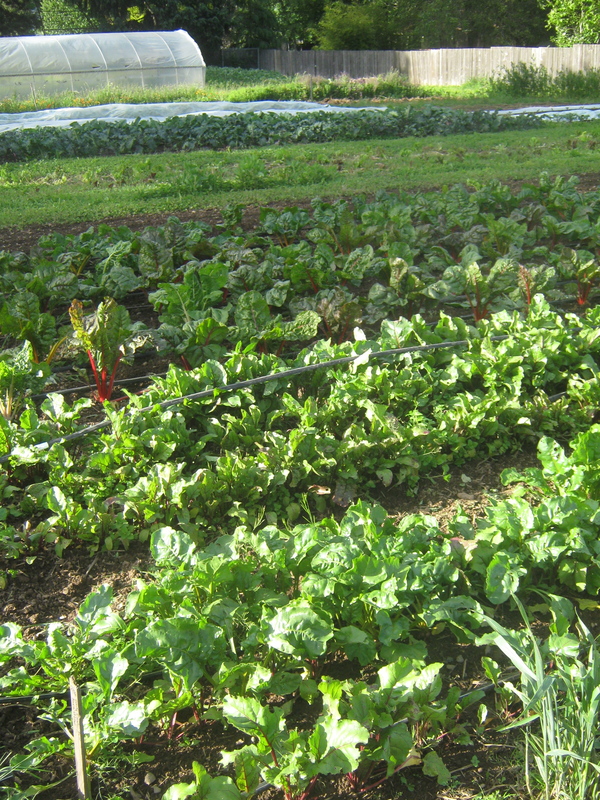 Things on the farm are going well — this spring has been a nice combination of warm alternating with some wet – basically perfect to get things growing. As is often the case in Oregon spring, slugs have a field day when it’s wet. And they also love certain plants, especially the bok choi and mustard you will notice today. As the season progresses we’ll probably see much less slug damage as they tend to hide from the dry heat. – fresh garlic – No it’s not a funny-looking leek! I told many of you at pickup about this. You can use basically the whole thing, though you may find the stalk a tiny bit fibrous. It has a much mellower flavor than mature garlic. The young garlic scape is the solid core inside the stalk – very tender and delicious. The whole thing would work well with the mustard greens or the broccoli raab, sauteed, braised, or ?? – broccoli raab – aka rapini, this is actually not broccoli at all but a fast-growing cousin, with very tender leaves and stalks. Try tossing it with olive oil, garlic, lemon juice, salt, and pepper, and roasting it in the oven for 15-20 minutes at 400 degrees. – bok choi – stir fry anyone? – french breakfast radish – nice fresh with butter and salt for breakfast! OK maybe only if you’re french, no but seriously try it it’s good! The greens are edible as well, though fuzzy raw they can be cooked. 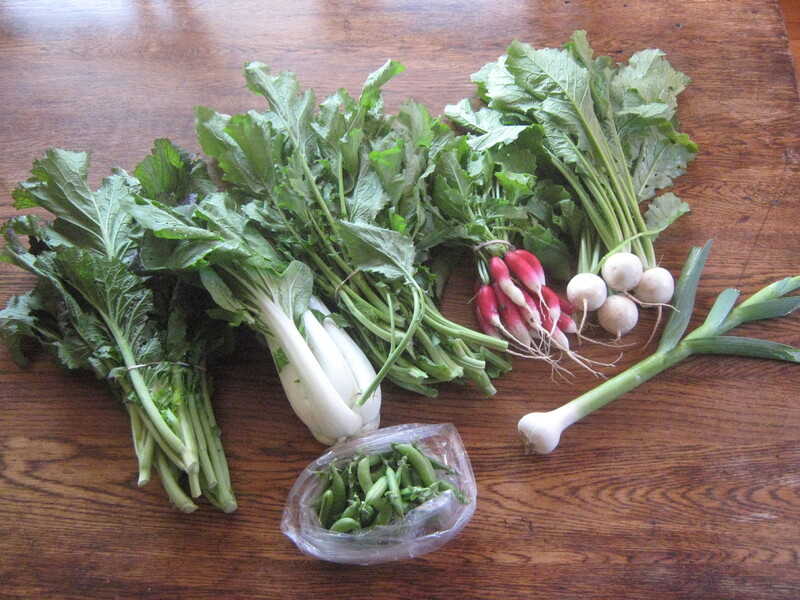 – hakurei salad turnips – these can be eaten raw or cooked, and of course their greens are good cooking greens as well – you could add them to your mustard greens. enjoy til next week. -Matt.